Neighborhood’s hoagie shop to deliver Italian specialty sandwiches to dedicated service members. Primo Hoagies of Sicklerville is ready to celebrate its favorite day of the year, National Hoagie Day. On May 5, the Italian specialty sandwich shop is giving a tasty bite back to the local chamber, Gloucester Township Police and Fire District 6 that serve Sicklerville on a daily basis. 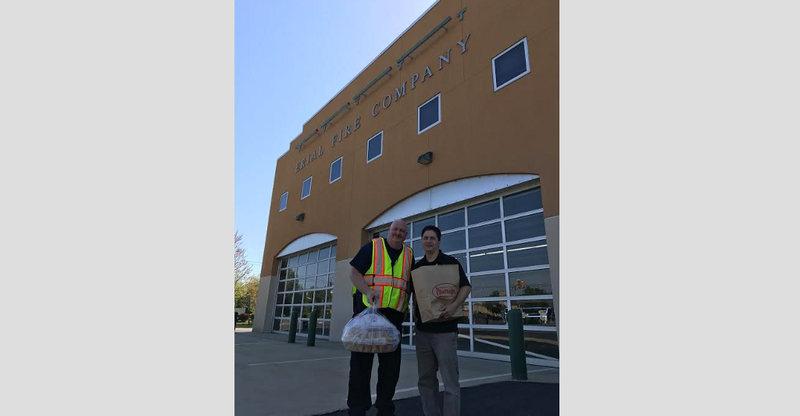 Primo Hoagies of Sicklerville will be preparing and delivering the brand’s Italian specialty sandwiches to the chamber, Gloucester Township Police and Fire District 6 in honor of its big day. By providing sandwiches for the service members, Primo Hoagies is sending a huge thank you in the most delicious way possible. Beyond serving the local chamber, police and fire fighters, Sicklerville’s Primo Hoagies will celebrate National Hoagie Day with customers through promotions offered both in-store and via online ordering. Individuals that visit a Primo Hoagies shop on May 5 will receive an Italian, turkey and cheese or ham and cheese primo-size hoagie for a discounted price of $5.99 in honor of the holiday. Since its start in 1992, Primo Hoagies has been known for its high quality hoagies. Each hoagie is assembled with the freshest ingredients available in order to produce classics such as the Sharp Italian or Soprano. The brand prides itself on offering award-winning sandwiches that combine quality, consistency and originality. For more information about Primo Hoagies of Sicklerville, contact Eric Bonner directly at (856) 742–1999 or at eric@primohoagies.com.